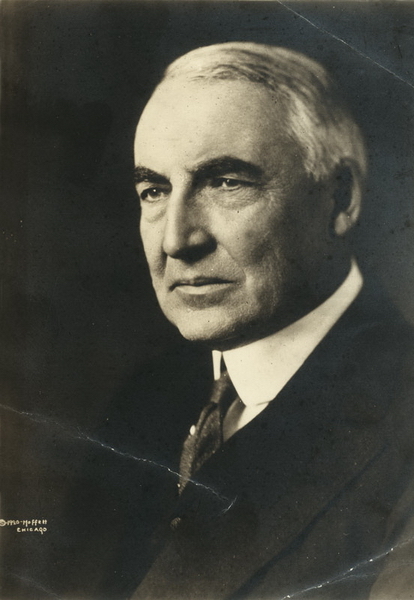 Republican victory in this "election by disgust" resulted from Wilson's unpopularity following World War I. Both parties were internally divided about such issues as Prohibition, agricultural policies, and the League of Nations. This was the first election after the 19th Amendment was enacted, which granted women the right to vote. 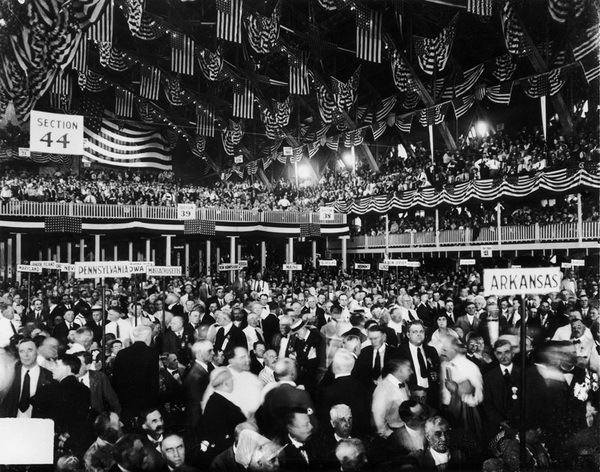 Republican National Convention, Chicago, June 1920. Chicago Historical Society.